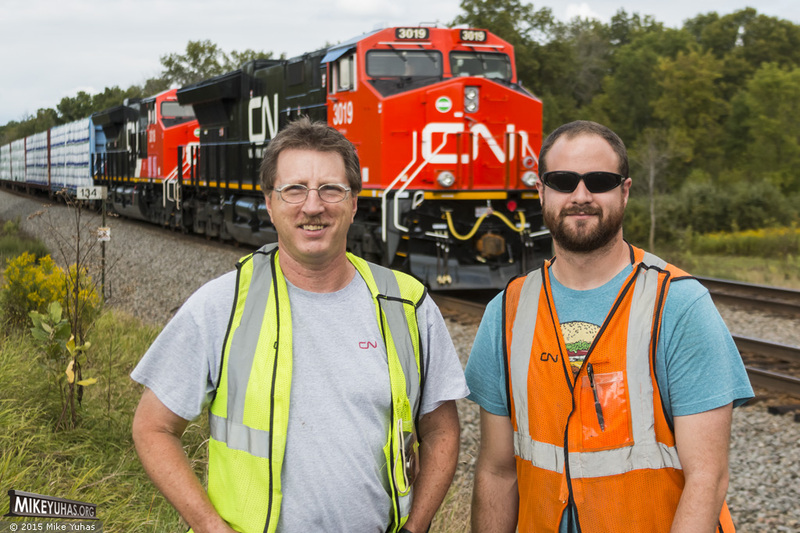 Engineer Bruce and Conductor Matt job brief outside of their train, M346. They'll wait on the main here for a hot northbound intermodal. Bruce says these new ET44ACs are exceptionally quiet inside, even under full load.